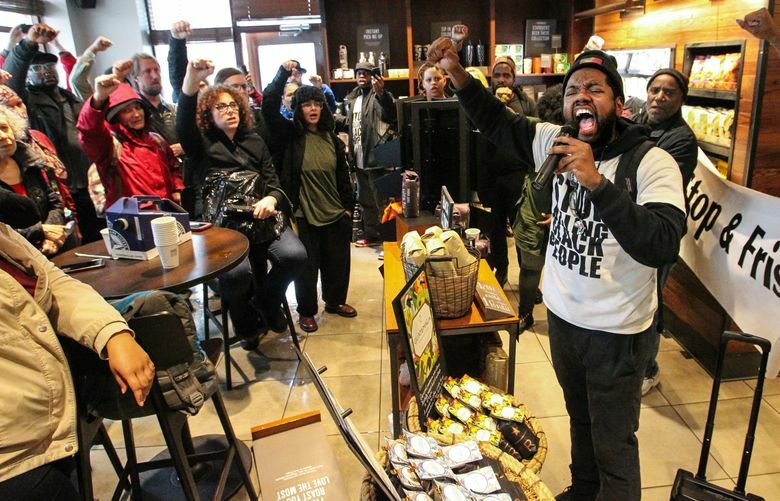 The disgraceful situation at a Philadelphia Starbucks is a difficult reminder that more progress is needed to understand and overcome bias. Exactly what transpired between the two men and the manager who asked them to leave and then called police last Thursday is unclear. It’s commendable that Starbucks CEO Kevin Johnson promptly apologized, took personal responsibility and met with the men. The company on Tuesday also took the extraordinary step of scheduling the closure of 8,000 company-owned stores in the U.S. on the afternoon of May 29 for training to prevent discrimination. “This is an issue we all have to learn from. This happens every day when there’s no camera, especially for men of color,” said Michelle Merriweather, president and CEO of the Urban League of Metropolitan Seattle. Merriweather, a former Starbucks business-development manager, said she believes the Philadelphia incident was an anomaly and doesn’t reflect the corporation she knows and worked for. “It has to be an ongoing learning for those in any industry where they’re interacting with the public in any way, just to ensure that this doesn’t happen,” she said. Managers also need to be empowered and trained to de-escalate situations in a balanced way, especially when there’s no threat to anyone. They need to know what the rules are and how to enforce them, with “some sort of escalation rubric to know when law enforcement needs to be involved,” she said.